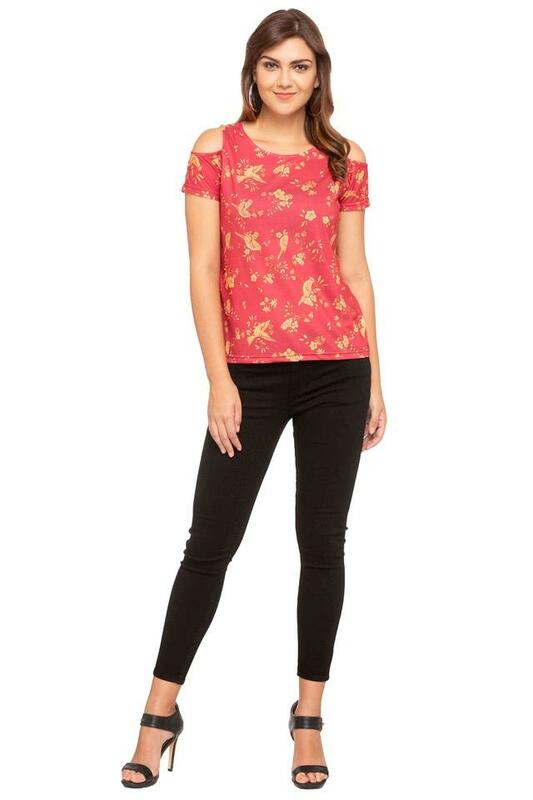 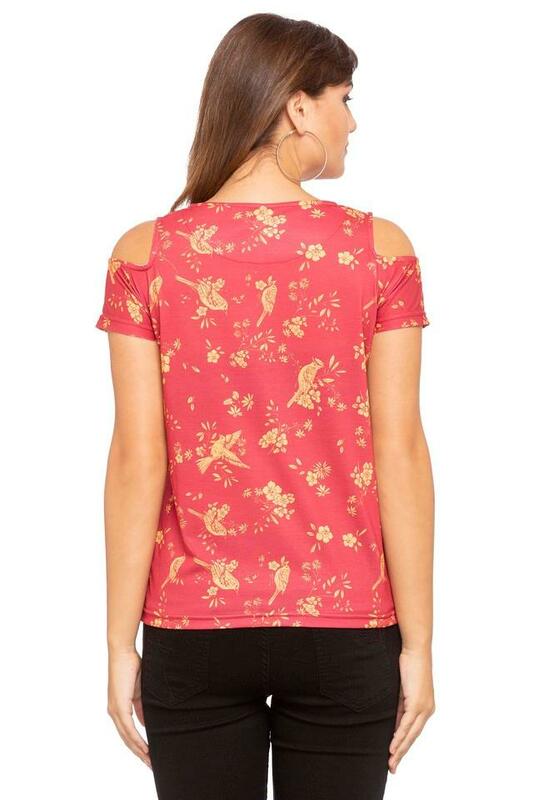 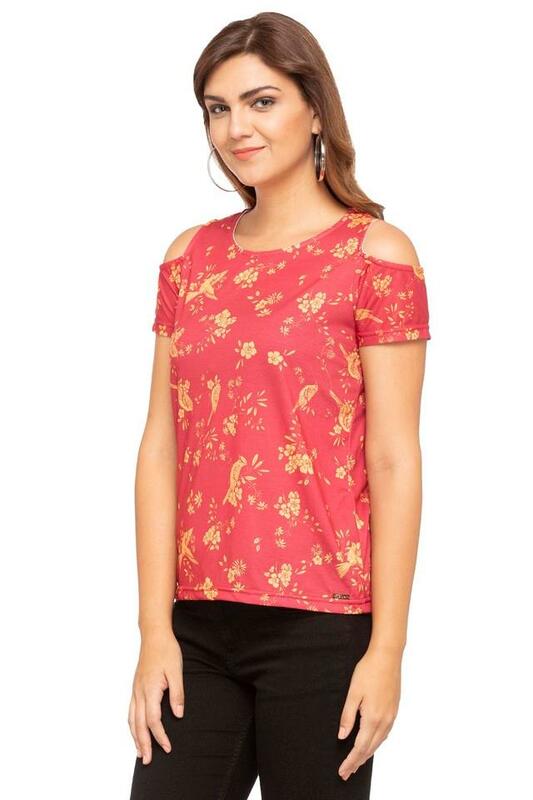 Bring out the style icon in you by wearing this top designed by Femina Flaunt. It features a printed pattern that makes it look fashionable. 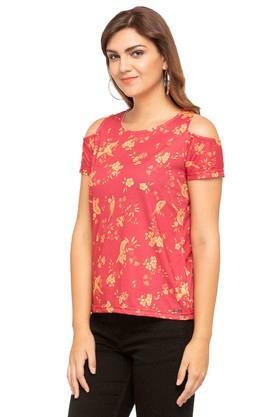 In addition, it has a round neck and also comes with cold shoulder sleeves that add to its design. 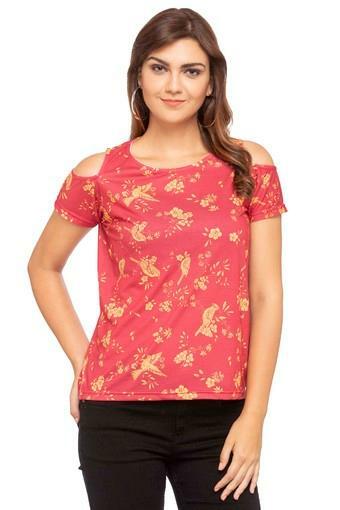 The use of a good quality fabric promises to provide you with utmost comfort. If you prefer keeping up with the latest trends, then this top will be a right pick for you. Club it with a pair of palazzo pants and ballerinas to look your best on a casual day out with friends.